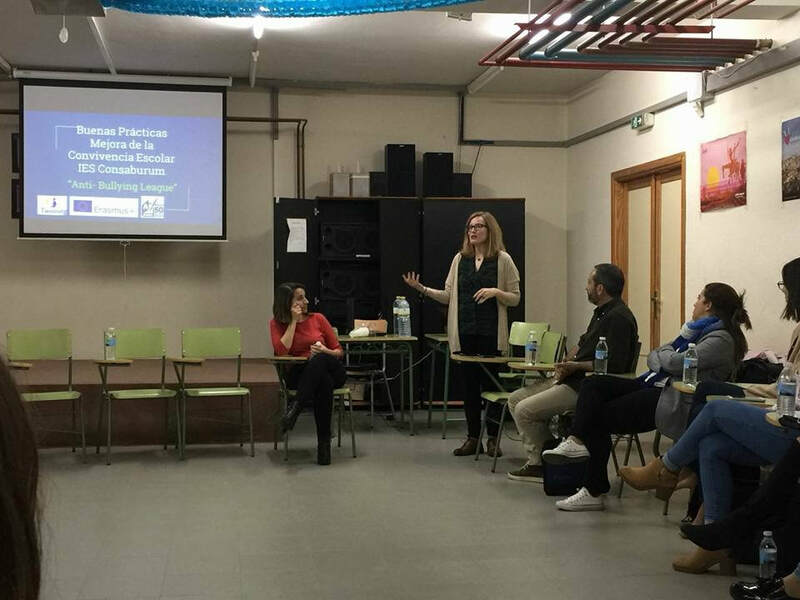 Jenni Virtanen is a Master’s student in social psychology from University of Tampere, Finland. 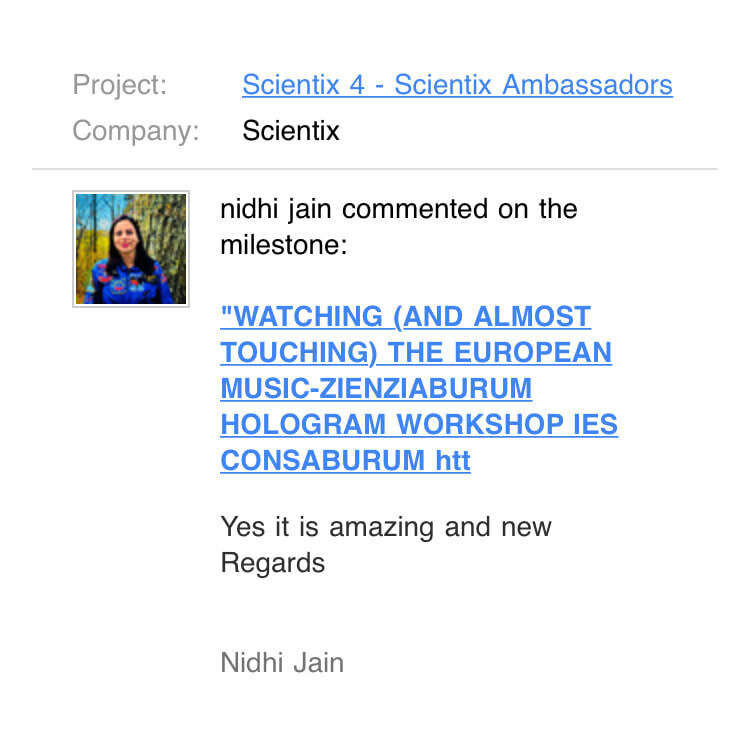 This past semester she has done a Graduate Diploma in Teaching. 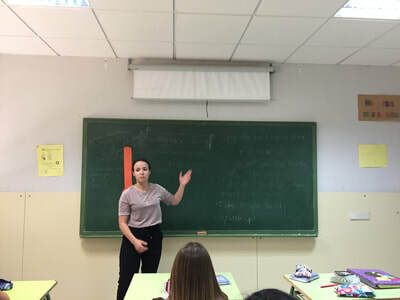 She did her practice as a high school psychology teacher, so she already has some experience in teaching young people. 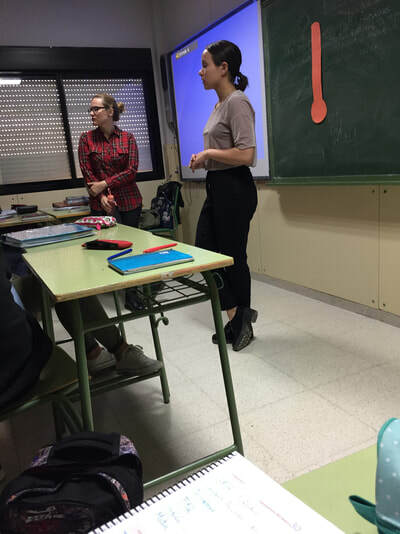 She also will help us as Language Assistant in English language lesson througout the whole levels in the high school. 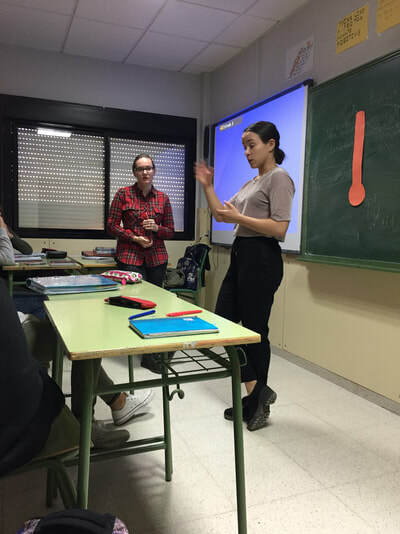 Jenni wants to work in education in the future so this international teaching experience would be really helpful for her. 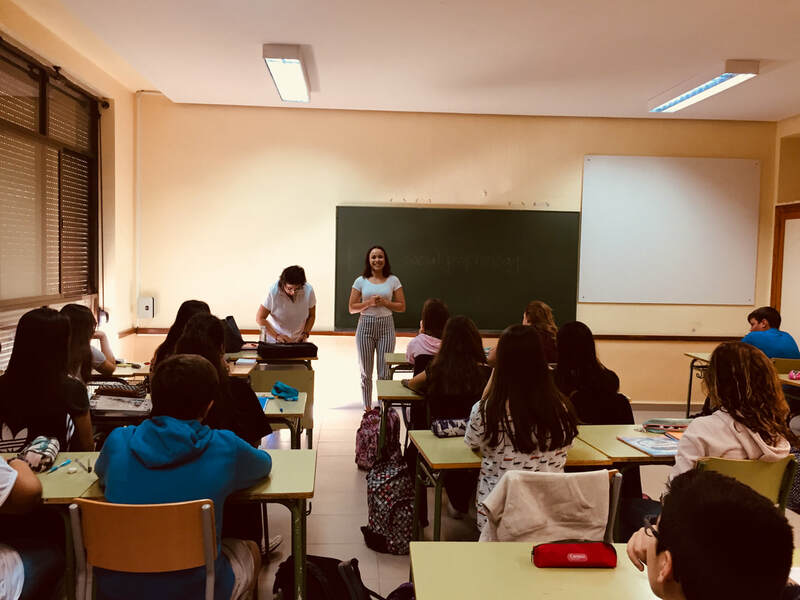 Not only she will help the Erasmus+ Coordinator with her duties and workshops, she also will provide us for sure with a quality experience from the best education system in the world, the Finnish. 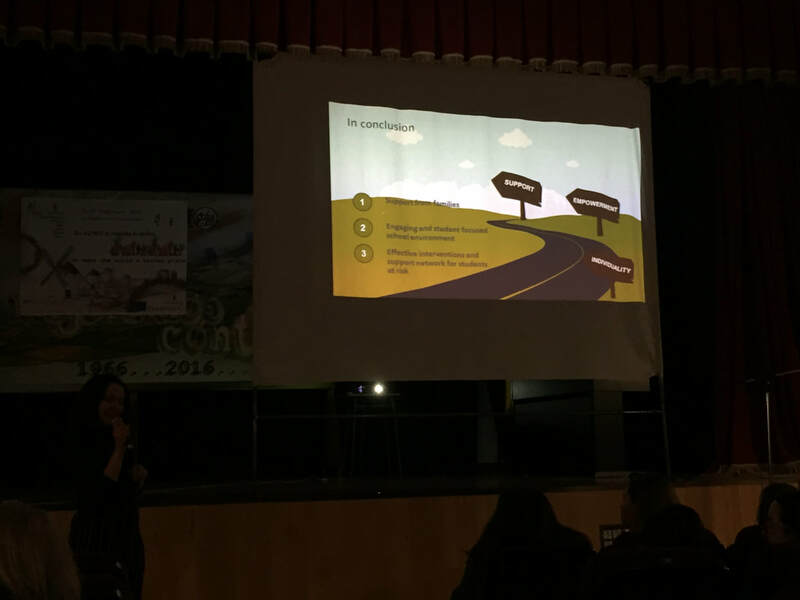 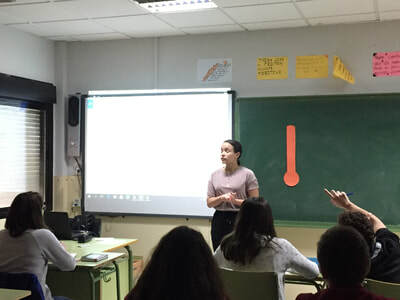 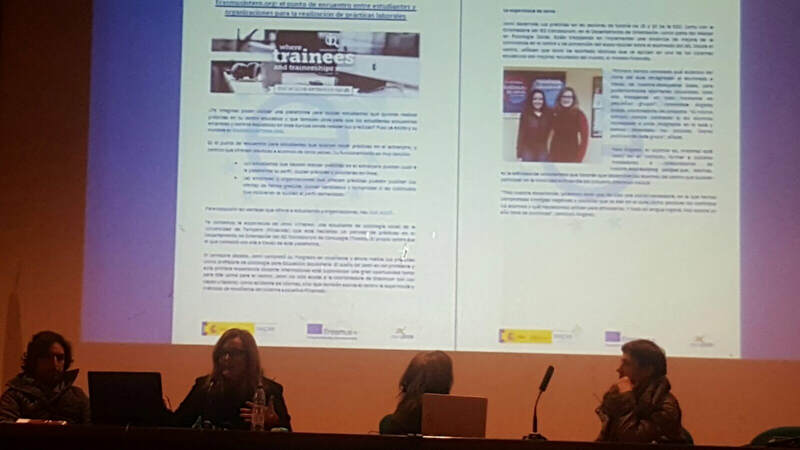 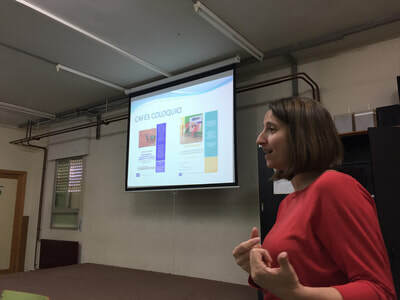 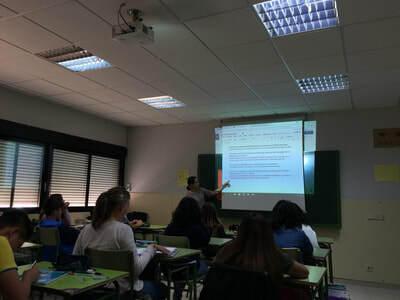 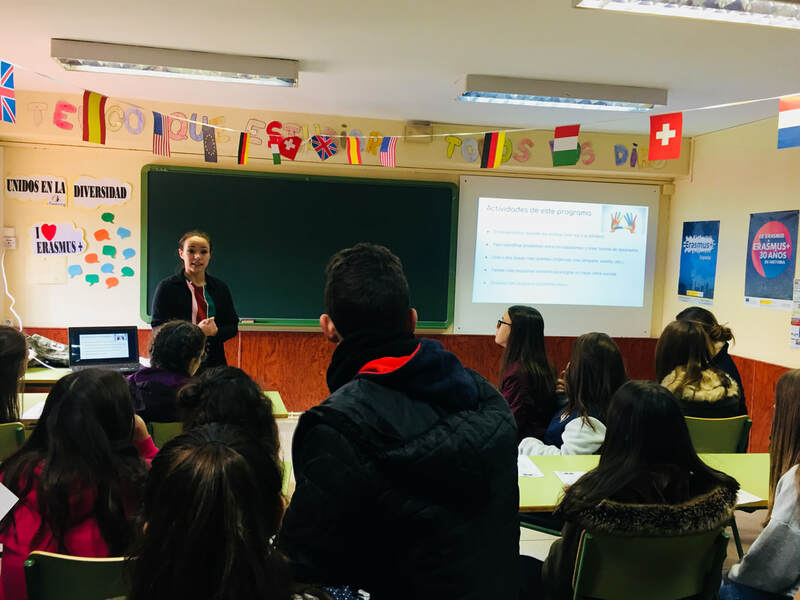 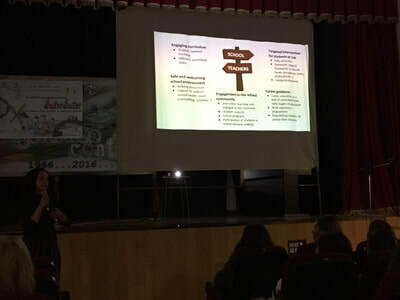 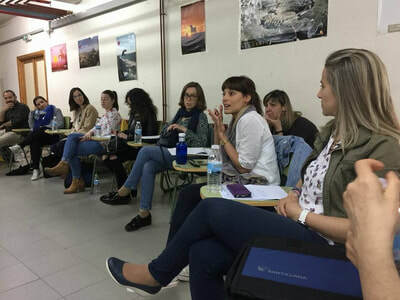 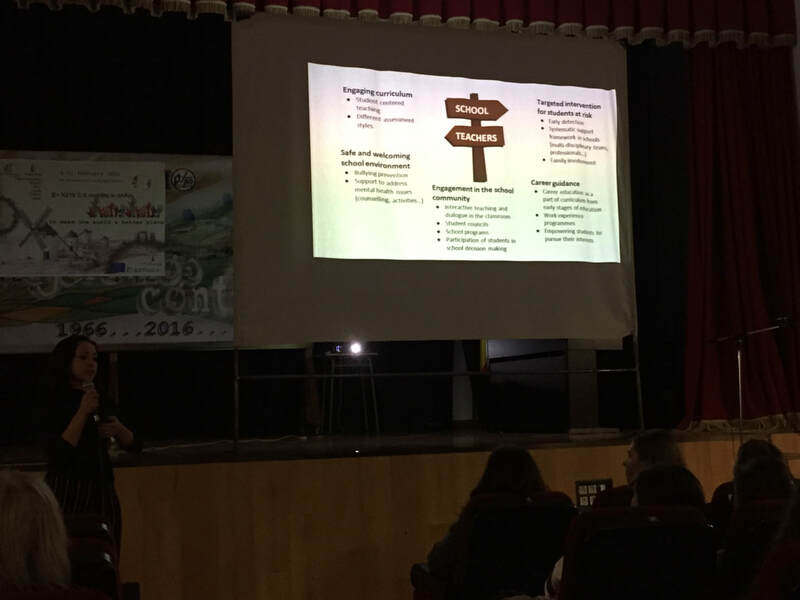 Para los cursos 2º y 3º ESO, en las sesiones de tutoría, la Orientadora del IES Consaburum y Jenni, alumna Erasmus+ de la Universida de Tampere (Finlandia) que está en el Departamento de Orientación realizando sus prácticas del Máster en Psicología Social, han trabajado una dinámica de mejora de la convivencia y prevención del acoso escolar con los alumnos. 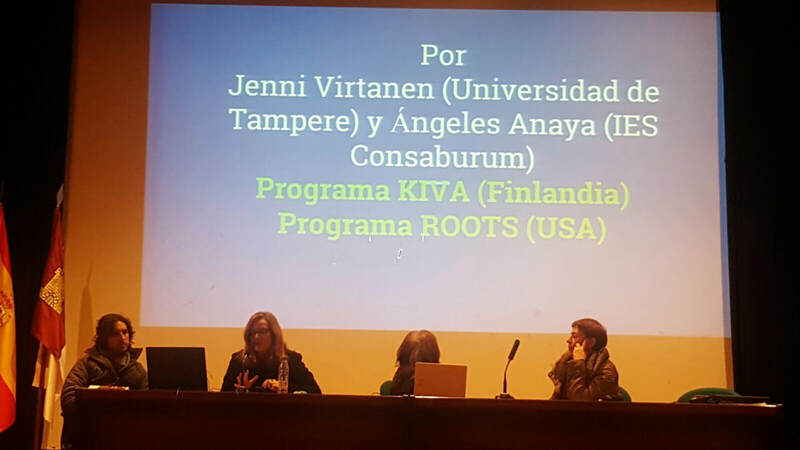 Jenni nos ha aportado las técnicas que se aplican a este respecto en uno de los Sistemas Educativos más punteros del mundo, el de Finlandia. 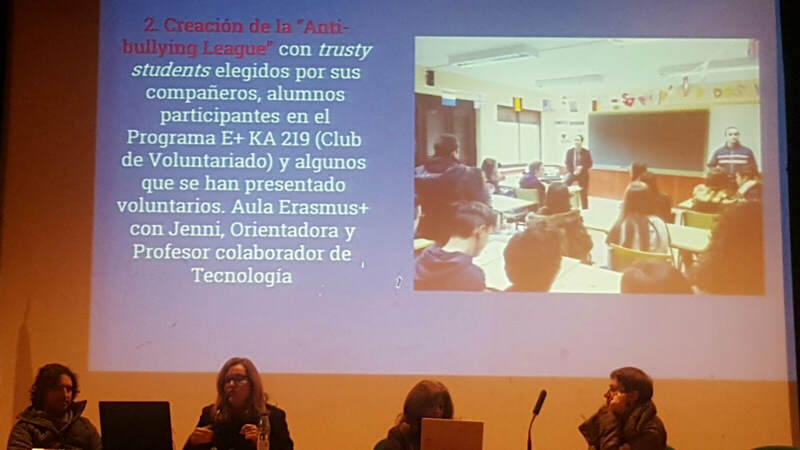 Primero hemos sondeado en nivel de aspectos que desagradan a los alumnos del clima del aula con nuestra "Annoyance Scale", aportando los alumnos posteriormente soluciones a los mismos, trabajando en todo momento en pequeños grupos. Al mismo tiempo, hemos sondeado alumnos rechazados o poco integrados en el aula y hemos detectado los posibles líderes positivos de cada grupo. 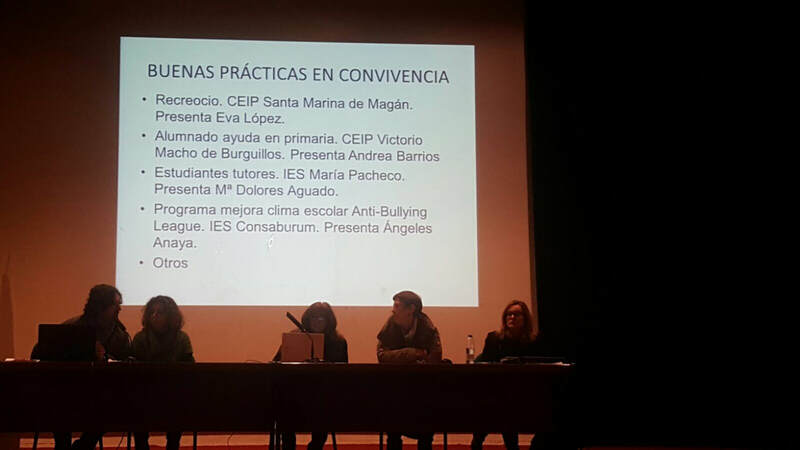 La idea es formar, mientras esté Jenni con nosotros, a posibles mediadores o colaboradores de nuestra "Anti- Bullying Leage- Para lograr un mejor clima escolar" que además es la actividad de voluntariado que tendrán que hacer los alumnos participantes de la movilidad a Finlandia de nuestro Proyecto ERASMUS+ ka 219. Ha sido una sesión reveladora, en la que hemos comprobado sinergias negativas o positivas que se dan en el aula, como perciben los conflictos los alumnos y que mecanismos utilizan para afrontarlos. 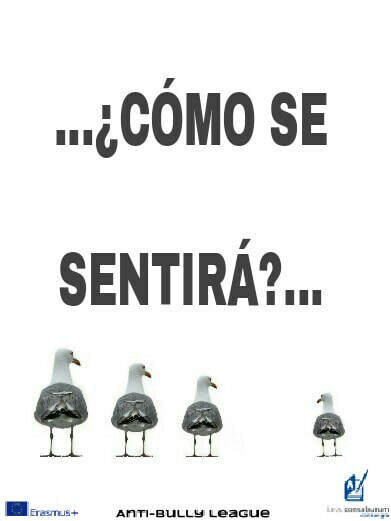 ...Y todo en lengua inglesa. Nos espera un año lleno de sorpresas. 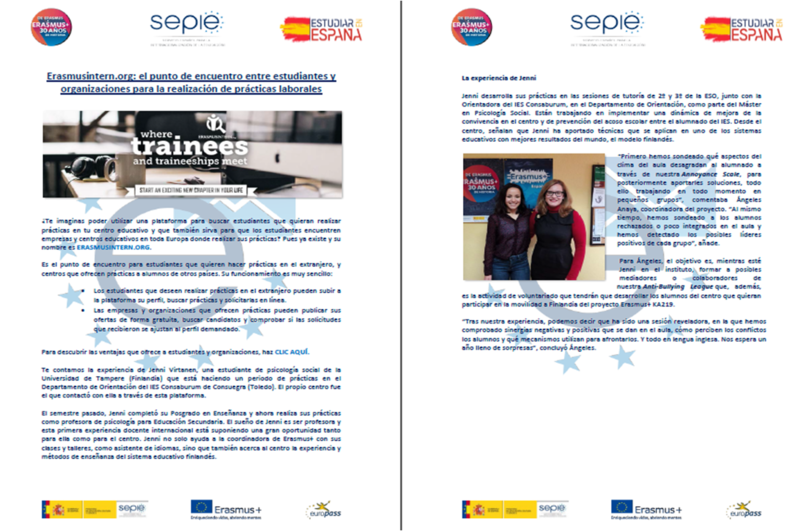 Erasmus+ intern nuestra experiencia recogida en el nº 11 de la publicación digital del sepie "newsletter"
Pincha el enlace para leer el artículo completo en "SEPIE NEWSLETTER nº 11"
FIRST MEETING OF OUR ANTI-BULLYING LEAGUE TO ACHIVE A POSITIVE SOCIAL ATMOSPHERE AND TO AVOID CONFLICTS IN consaburum high school. 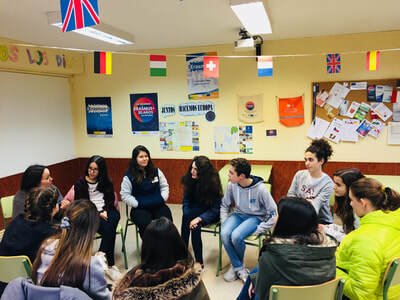 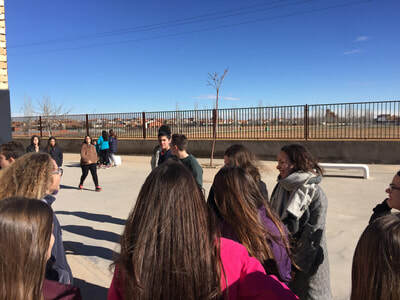 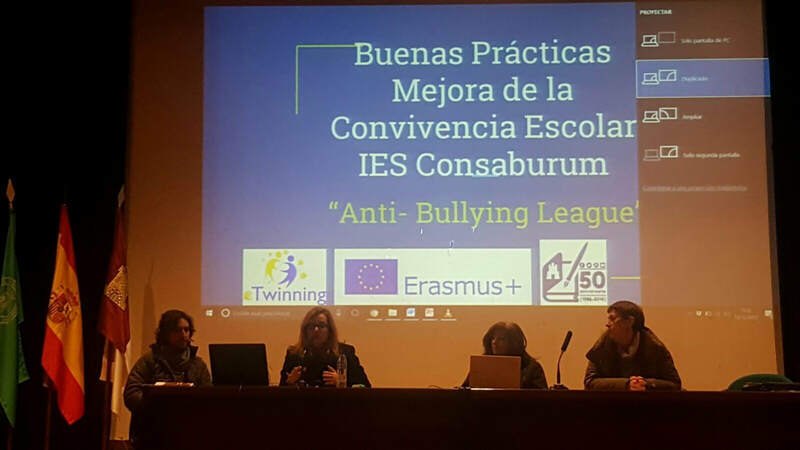 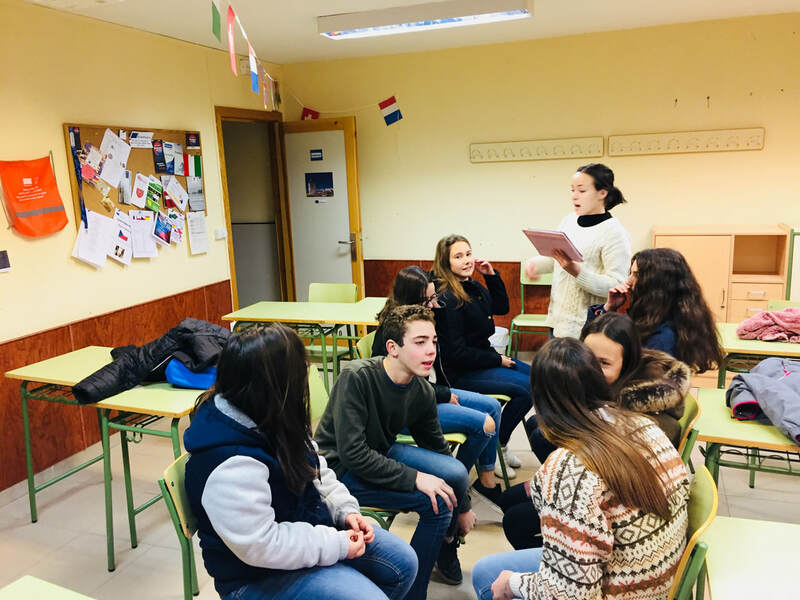 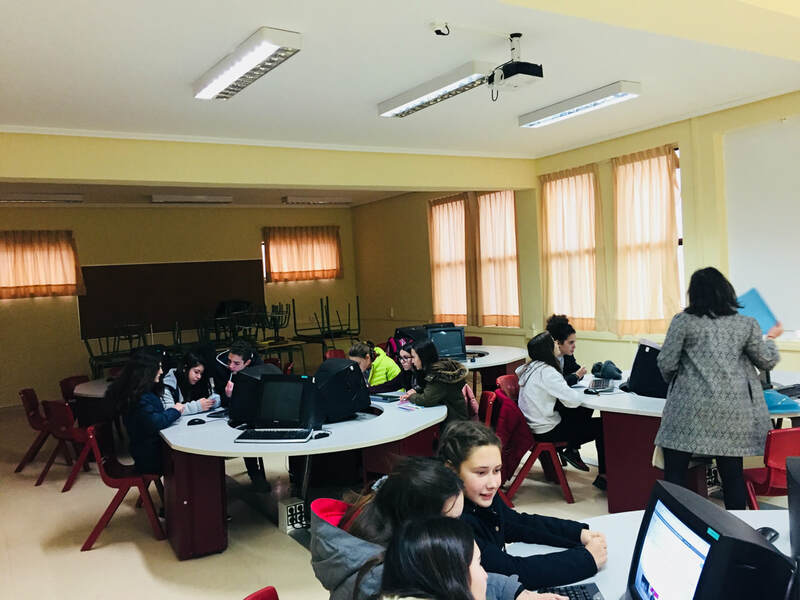 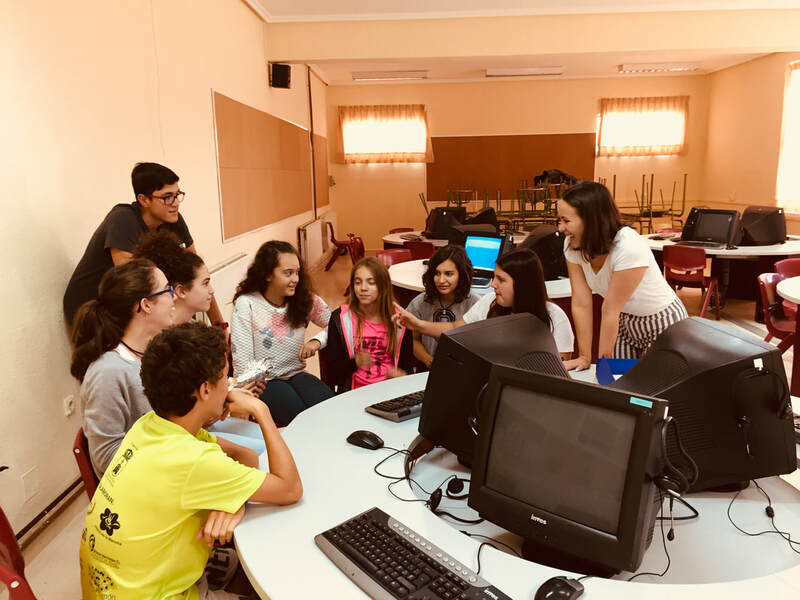 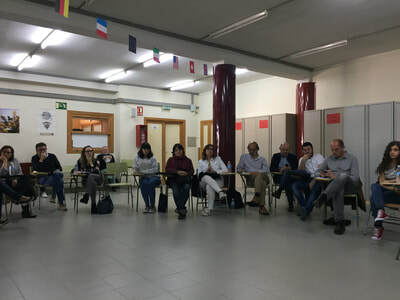 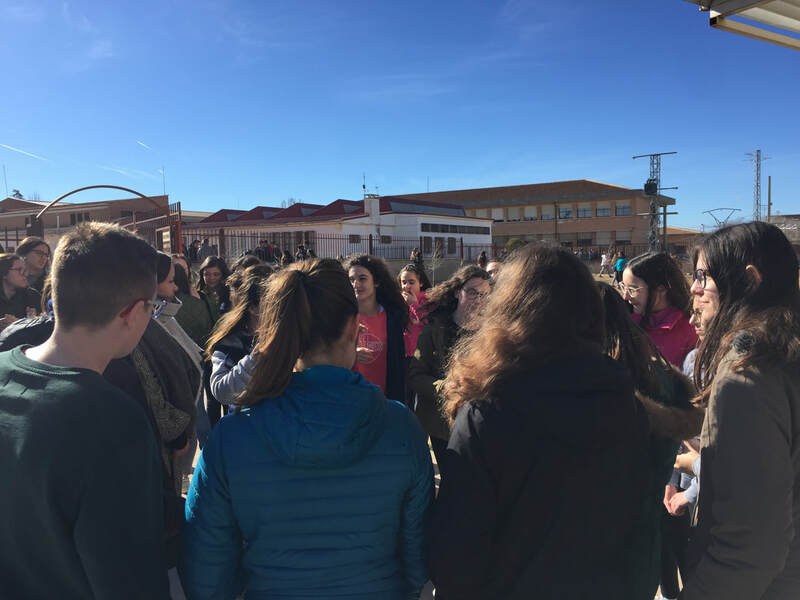 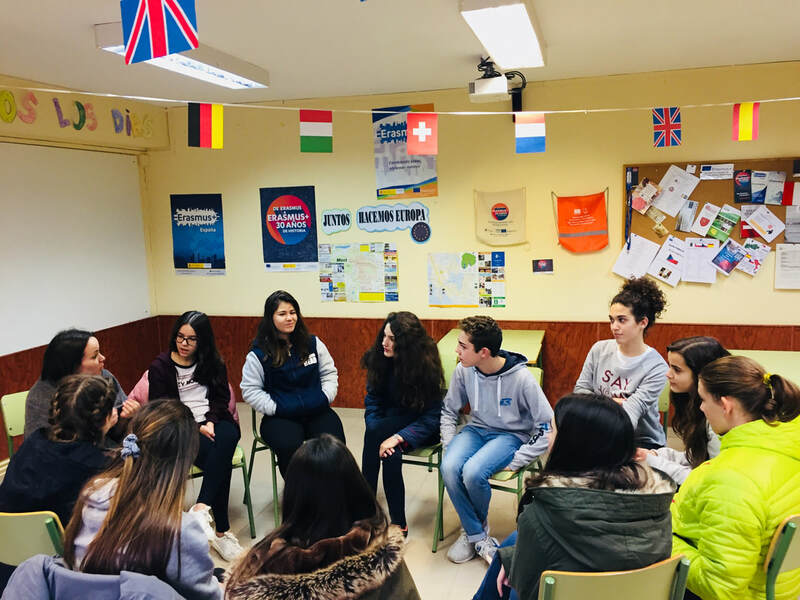 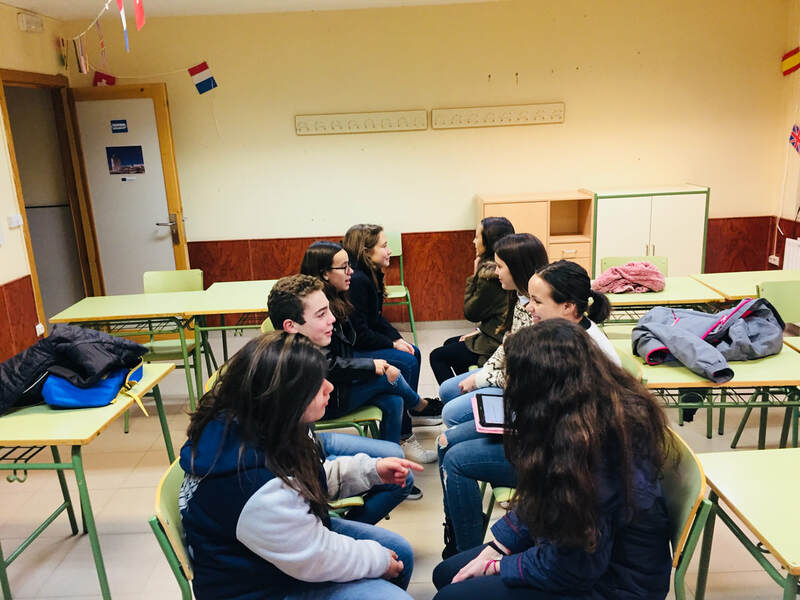 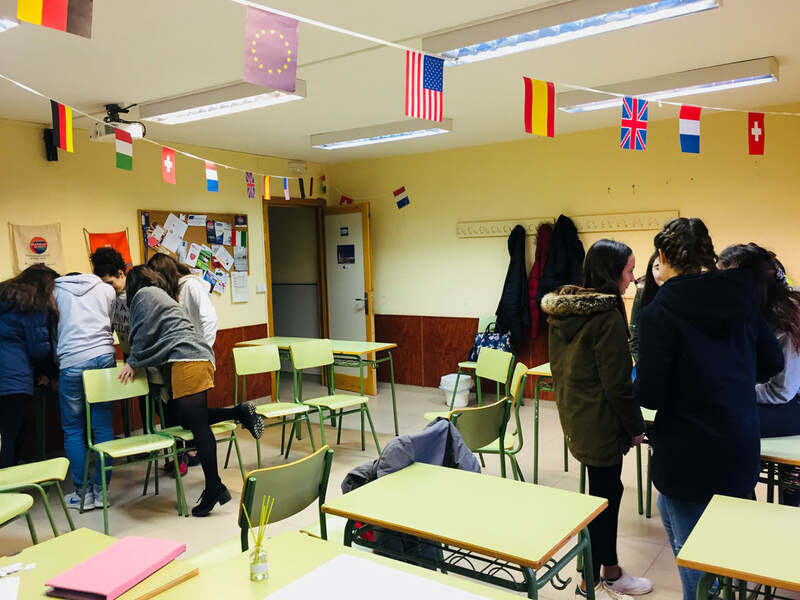 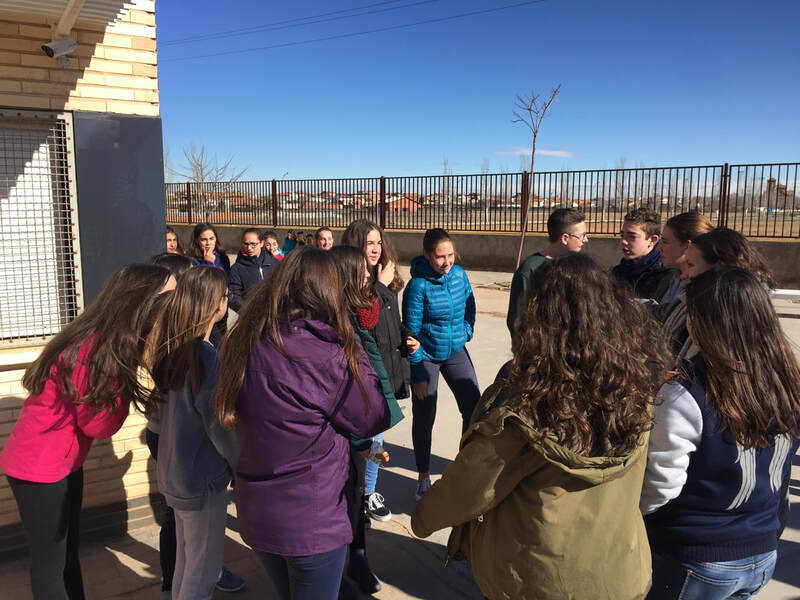 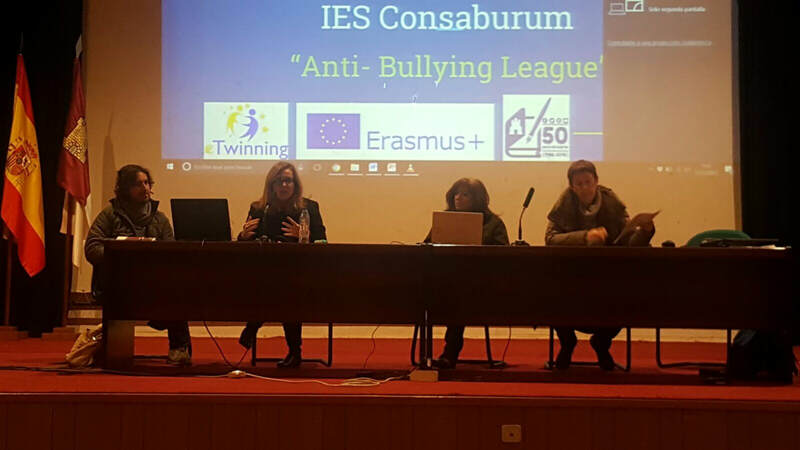 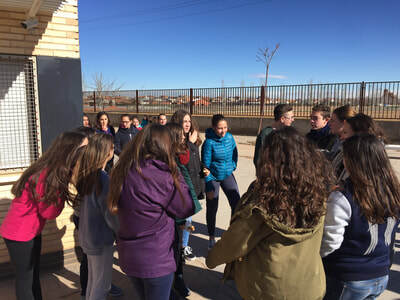 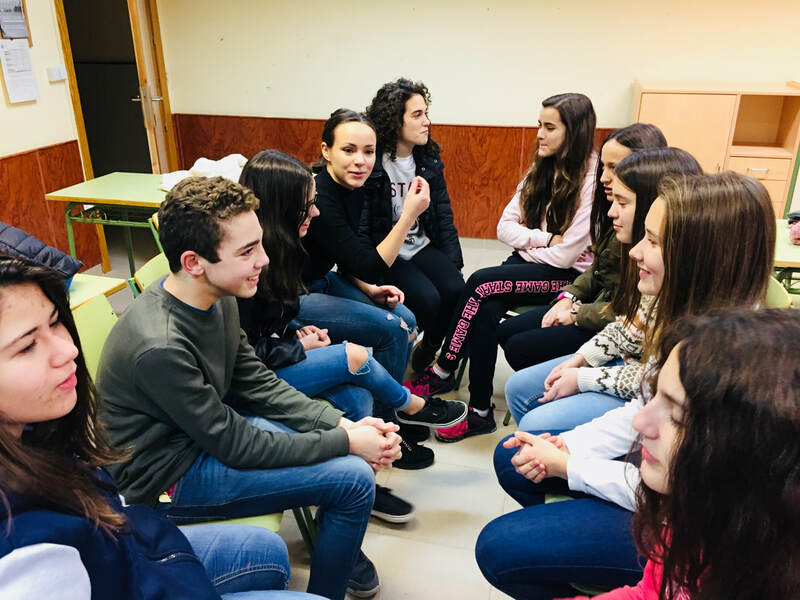 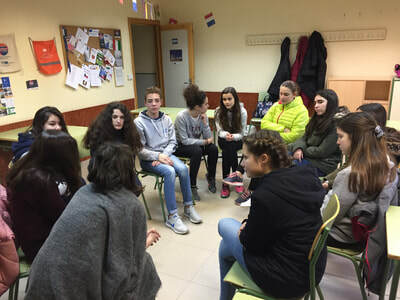 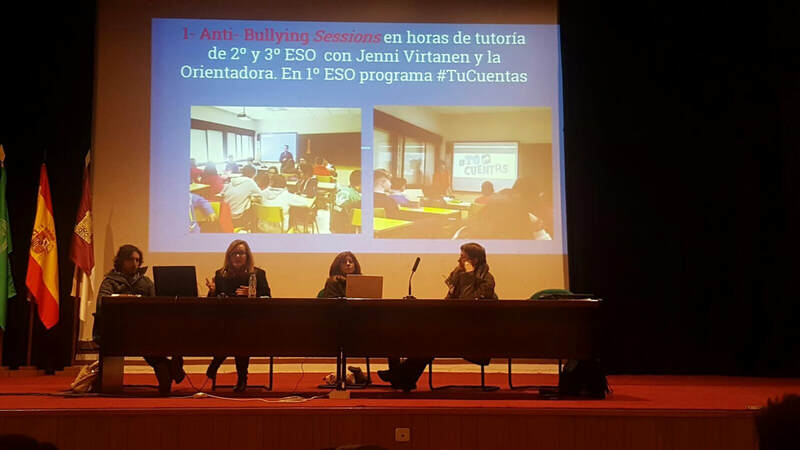 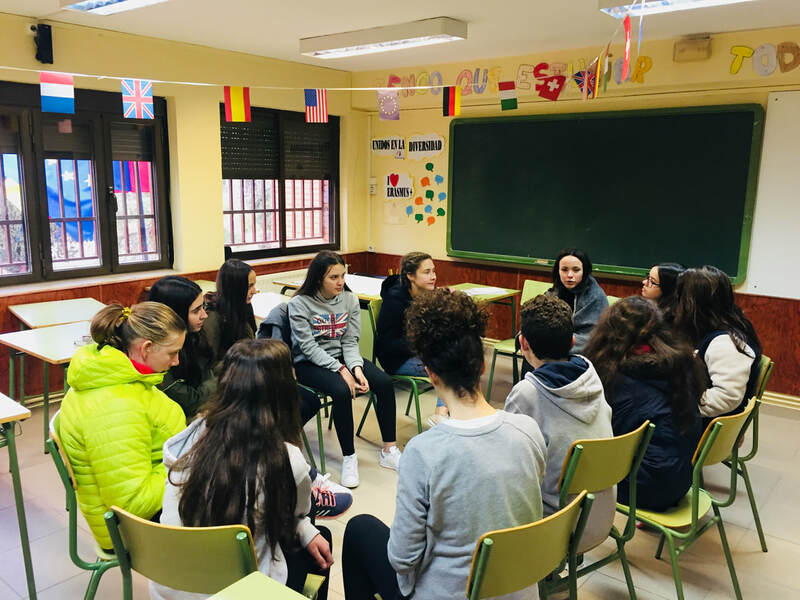 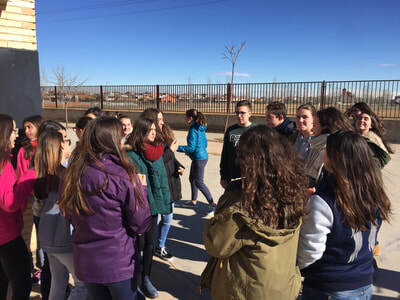 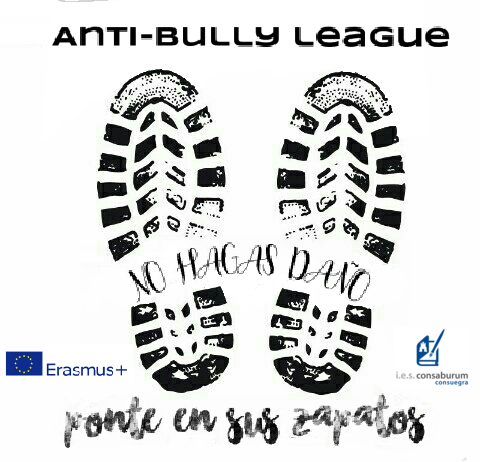 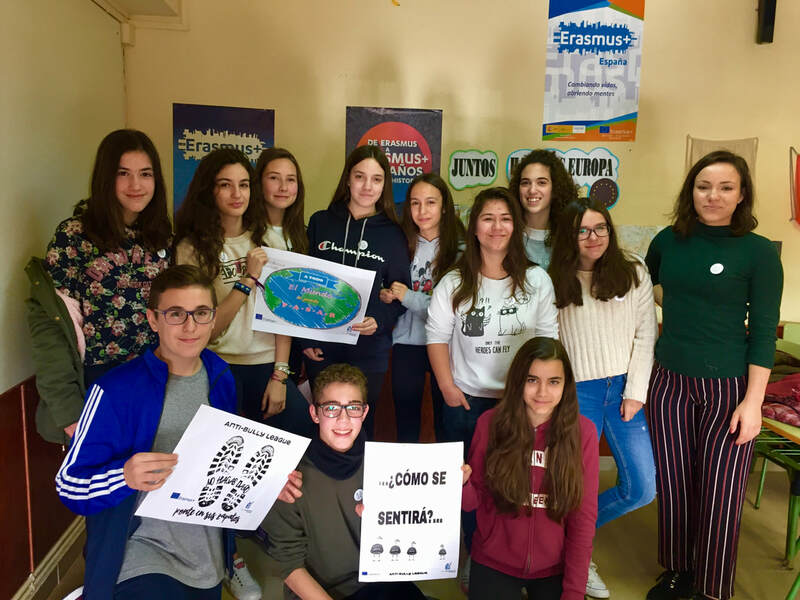 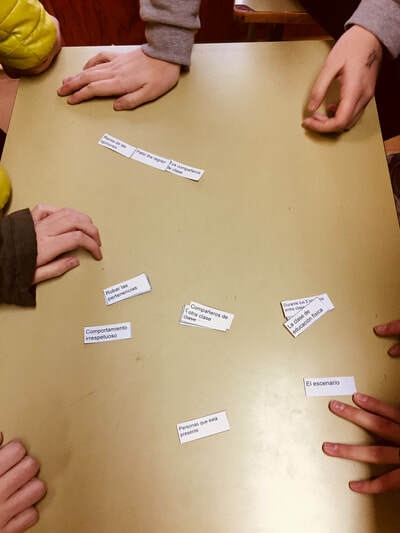 OUR "ANTI- BULLYING LEAGUE" IS INCLUDED IN OUR ERASMUS+ KA219 PROJECT AS A PART OF THE "VOLUNTEERING CLUB"
reunión provincial de orientación en toledo. 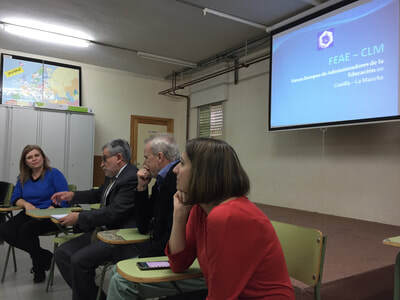 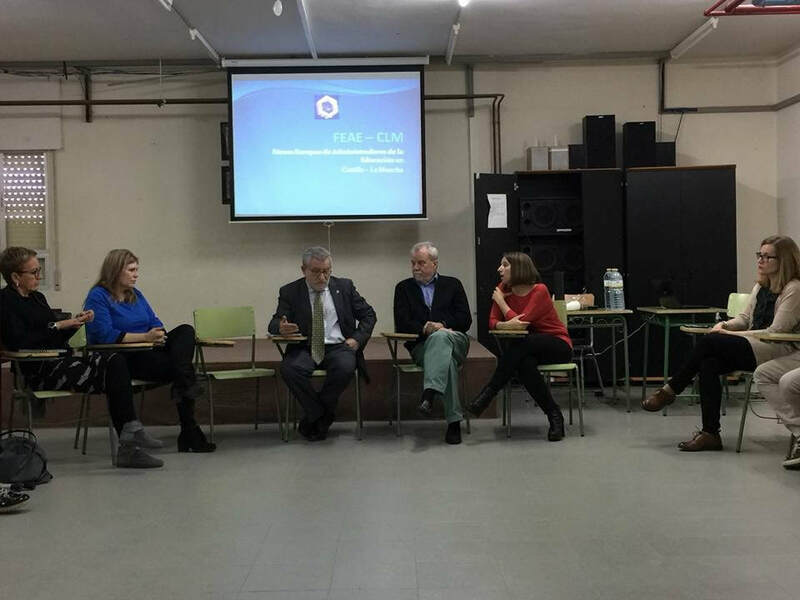 counselling and guidance general meeting in toledo. 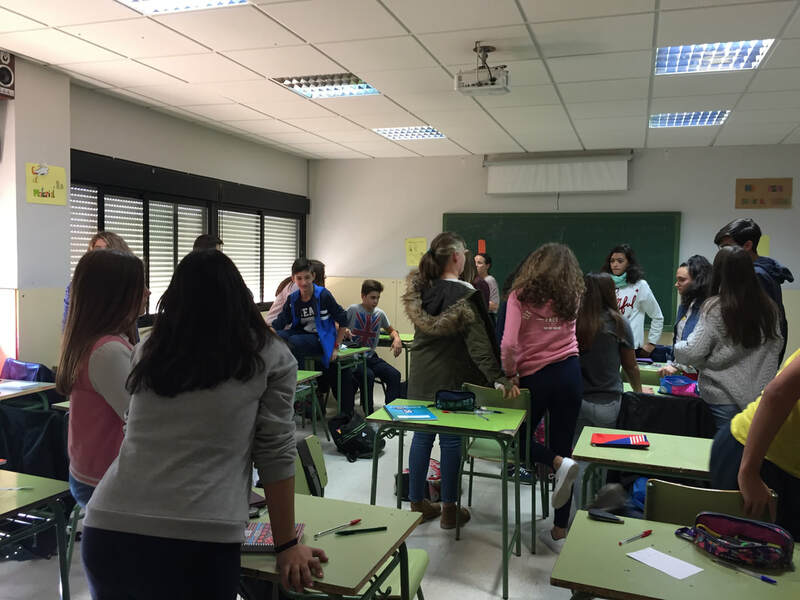 presentamos nuestro programa de mejora de la convivencia escolar "anti- bullying league"
The 8th and 9th of January, during the afternoon, the trusty students chosen by their schoolmates and our volunteers of the mobility in Finland attended two training sessions about several techniques focused on making them a better problem- solvers and more active-listeners. On the second day of the training, the students learned how to promote positive behaviors among their schoolmates. 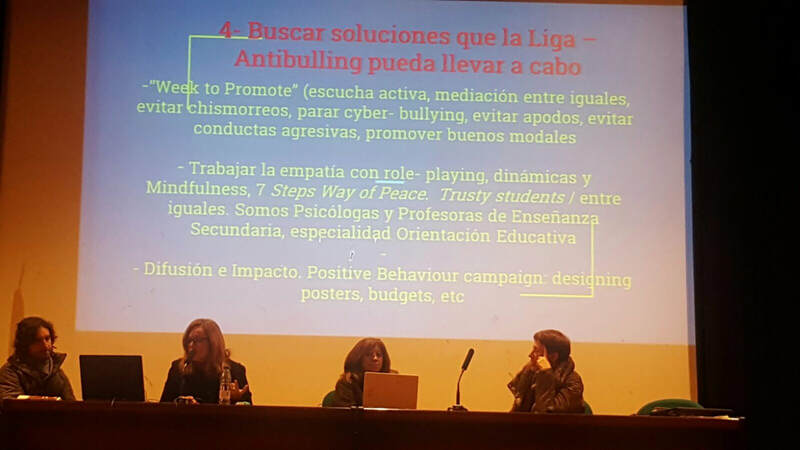 Through the study- case, the members of the anti-bullying team gave solutions to several situations in which conflicts among the students can arouse. 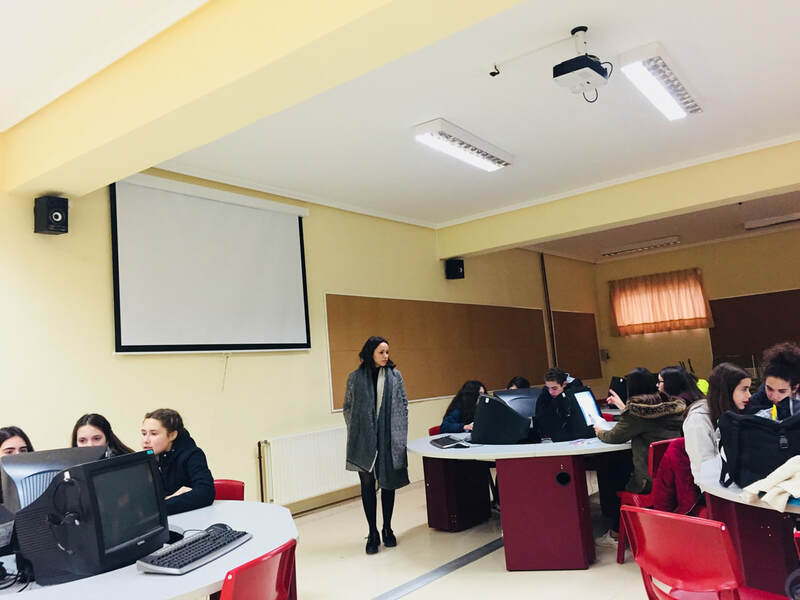 After the dynamics, we were to the ICT- classroom to designed some posters. 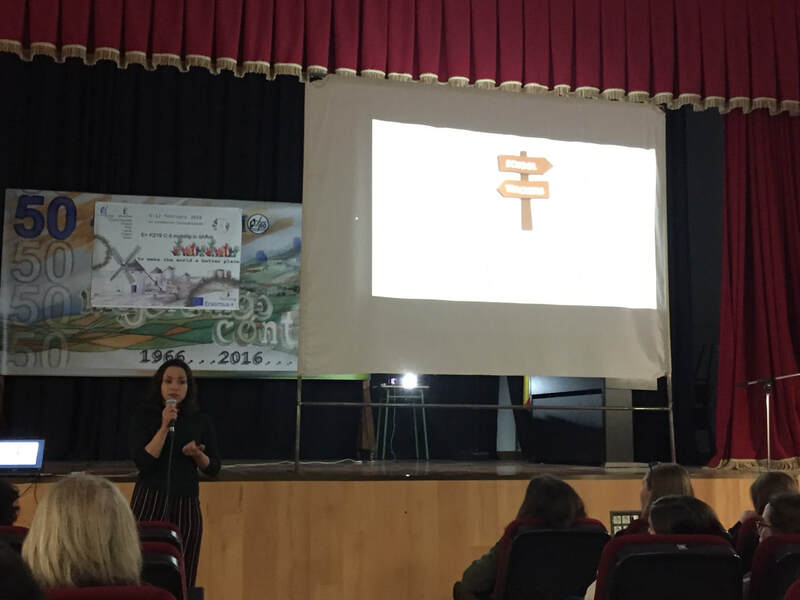 In the end, they chose a logo for their badges. 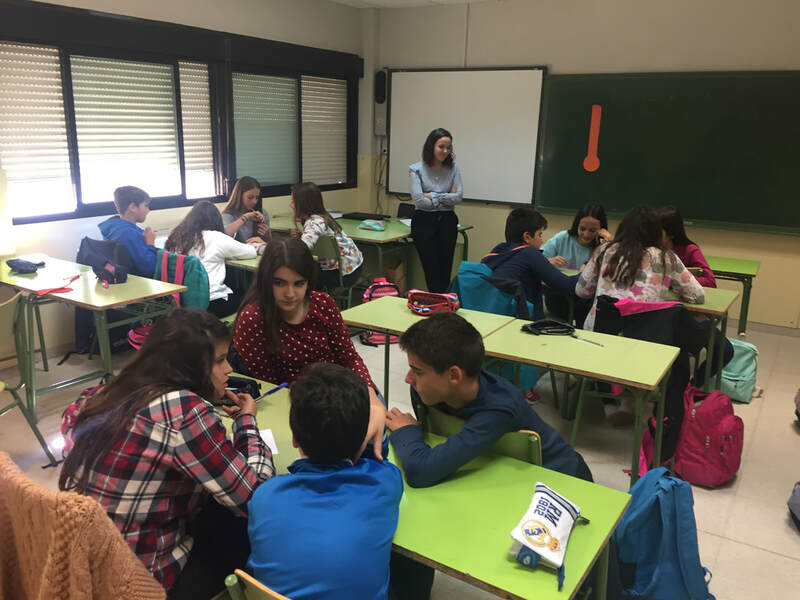 During these days, 17 students from 2nd and 3rd grade have made their contribution to creating a better atmosphere in the school while they were obtaining interpersonal skill quite useful for their future. First weekly tasks: act of kindness and avoiding isolation in the courtyard. 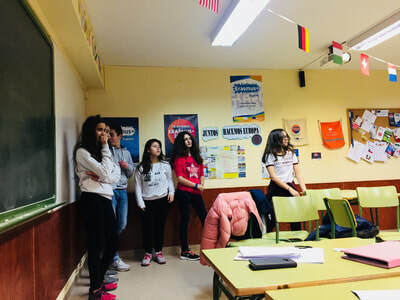 Our anti- bully league members are now ready to act and we have started with the dynamics "Throwing a Smile" & "Silly Poses", involving other school- mates during the break. 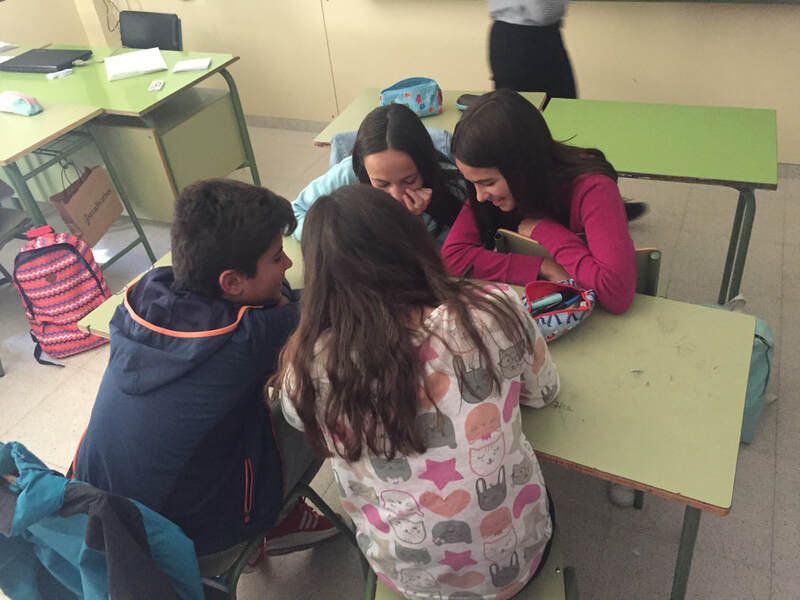 The atmosphere in the school is getting better and better thanks to them!